Hannah Borchers is an intern at Family Research Council, an anti-LGBT hate group. Poor young Hannah is a done deal — incurious and incapable of real critical thinking and FRC is likely to reinforce Hannah's inadequacies. Hannah has decided to do a book report. Her subject is Ryan T. Anderson's idiotic tome regarding transgender people. Mr. Anderson has no training or experience to weigh in on human sexuality. Real thinkers form a hypothesis and then subject it to tests to determine its validity. Anderson is a religious zealot. He starts with the assumption that Catholic dogma represents truth. Rather than subjecting it to tests Anderson employs selective observation to bolster what he uncritically accepts as valid regardless of its actual validity. The growth of the transgender movement has left many unanswered questions, but the media never seems to accurately represent person. I have had several and they want what most people want: A decent job at a fair wage, a nice place to live and not to be treated as outcasts. Is that really too much to ask of society?both sides. In 2015, Family Research Council’s Peter Sprigg collaborated with Dale O’Leary to produce a comprehensive 42-page policy paper, “Understanding and Responding to the Transgender Movement.” Now, Ryan Anderson of the Heritage Foundation has provided an even more comprehensive treatment of the topic with a 251-page book. 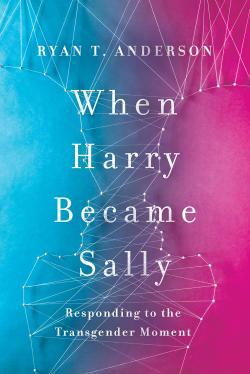 When Harry Became Sally is a fair and informed assessment of the transgender ideology written not to convert the activists, but rather to inform the average American that the implications of gender identity, gender fluidity, and transitioning may go beyond what we have been told by the media. In an engaging walkthrough of every aspect of this growing movement, Anderson makes it clear that we have much more to learn. If someone wants to seriously contemplate the fate of transgender people then one must start with an understanding of gender dysphoria. There exists no intervention known to medical science that alleviates, cures or moderates gender dysphoria. Two sides do not exist. If one insists on having two sides, there are religious conservatives and then there is medical science. The religious side is no more valid than they would be regarding colon cancer. The religious folks are unable to offer a realistic, scientifically valid alternative to gender affirmation. The only thing they can come up with is some variant of conversion therapy that is ineffective and potentially harmful. They beg the question: Why should someone engage in unproven processes in order to appease religious conservatives? Peter Sprigg is in no position to craft a policy paper. 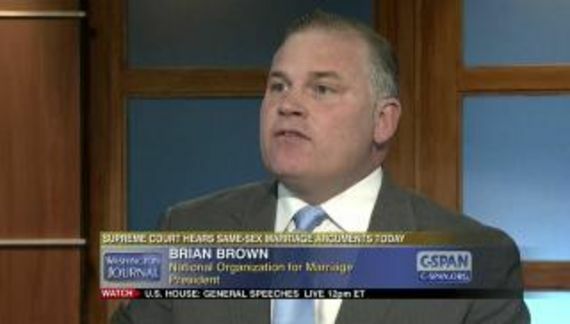 He is a Baptist minister who, like Anderson, has neither the training nor experience to be authoritative on human sexuality. Unknown to medical science is the term “transgender ideology.” It was made up by Christians to suggest that being transgender means that one subscribes to some form of doctrine. That is not only untrue but idiotic. People become transgender because it offers relief from the stresses of gender dysphoria. The fact that Christians disapprove of people being transgender is entirely irrelevant. Once people, like Borchers, start using the term “transgender ideology” it means that they have embraced religious dogma over medical science. Being transgender is also not a “movement” and I haven't seen any proof that there is growth in the number of transgender people. What I have seen is that parents and children have become more knowledgeable. Children are permitted to transition at an earlier age. Studies (the ones that Borcher, Anderson and Sprigg refuse to comprehend) demonstrate that transitioned youngsters have levels of stress and anxiety comparable to the general population which greatly reduces the potential for self-harm. Using the media and mythical activists as a foil is common. It is also intellectually dishonest. They are irrelevant to a discussion of a medical condition. Christians make activists relevant by providing them with a cause. All I want is for people to be treated fairly. Being transgender is not easy and no one suggests otherwise. People like Anderson and the folks at Family Research Counsel make it just a bit harder. However, it presumably beats the hell out of suffering with gender dysphoria without gender affirmation. I am pretty sure that Anderson,l Sprigg and our young intern have never had a conversation with a transgender person. I have had several and they want what most people want: A decent job at a fair wage, a nice place to live and not to be treated as outcasts. Is that really too much to ask of a civil society?